Our family was given an amazing gift from my friend Barb and her husband Ken. Barb and I have been getting to know each other via our blogs and an online support group for quite a while. In Orlando this past March we didn’t get a ton of time to spend together (too many people, not enough time!) but as we were walking the 5K she said they were vacationing in Kitty Hawk, NC in May. They had rented a house with two stories and she offered us the opportunity to stay with them. Now that’s what I call trust! We knew we loved and appreciated each other, but to offer a week at the beach to my crazy family? That’s just nuts! Yet she did. And we took her up on it. Even though we homeschool, my family doesn’t like to combine vacation with school. They would prefer to hang out on the beach all the time. 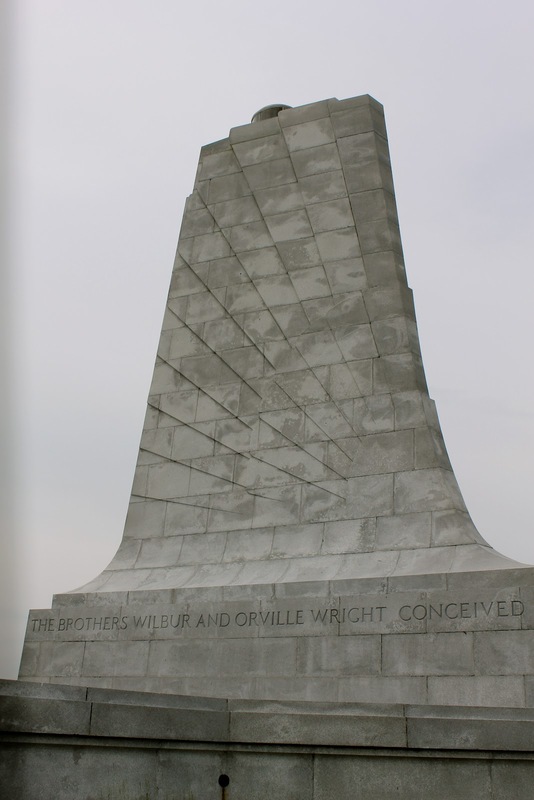 Since our vacation was in May this year it wasn’t as warm (the water was frigid) so they compromised and we went to the Wright Brothers Memorial in Kitty Hawk. 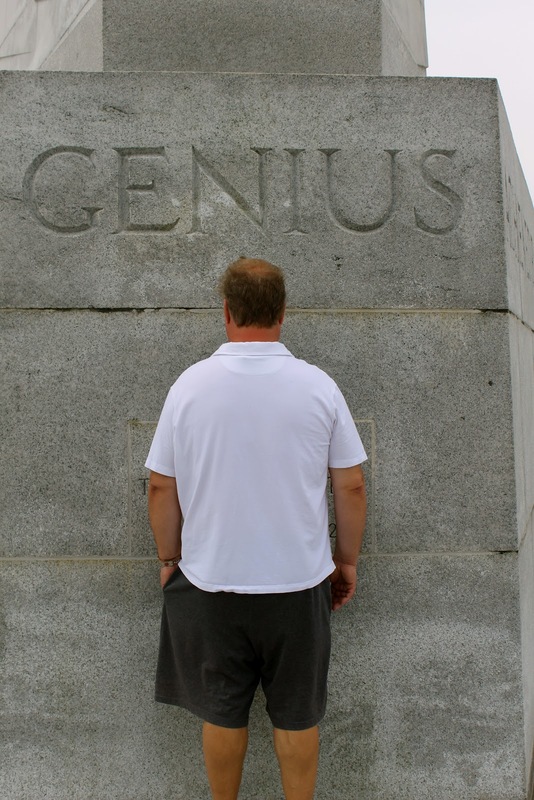 Thought this was an appropriate place to pose…..
There’s one in every bunch. Just me and Orville. Or was it Wilbur? Barb is an amazing cook. Here we were with all of our family and she’s making us breakfast and sending down homemade goodies. She inspired me to be a better hostess. My family is just thankful when I feed them! Somehow they think they’re going to starve! Here’s a pic of one of the meals we shared. We enjoyed just spending time together and we never ran out of things to talk about! She and I say so many of the same things to our kids that it’s like having an echo for a friend! Nothing like the feeling of being with a mom who understands this life we lead. Our daughter Rachel and her husband Donny were able to join us from Wed. night till we left on Sat. You know what that means don’t you? Family Picture Night! I wrote about the importance of taking family photos and this year was nothing new. Total insanity! Here are a few of the leftovers. Please go visit my friend Barb and be blessed by her wisdom and humility. Love you, my friend! Great pictures! I love Kitty Hawk! You won’t believe this . 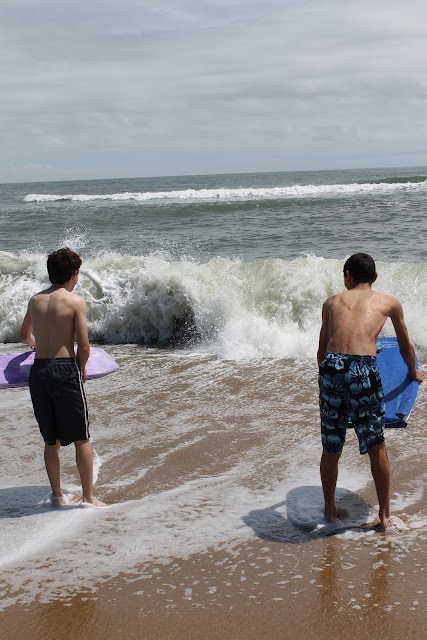 . . one of my blog friends (whom I met for lunch once) emailed me last week and asked if me and my younger 6 kids would like to join her and her younger 6 kids for 5 days at the beach in September. A relative is letting her use their beach house, and she even offered to help pay my gas. So, I am looking forward to a vacation at the beach with a Bloggy Friend, too.